What a Unique and Fun local Job! 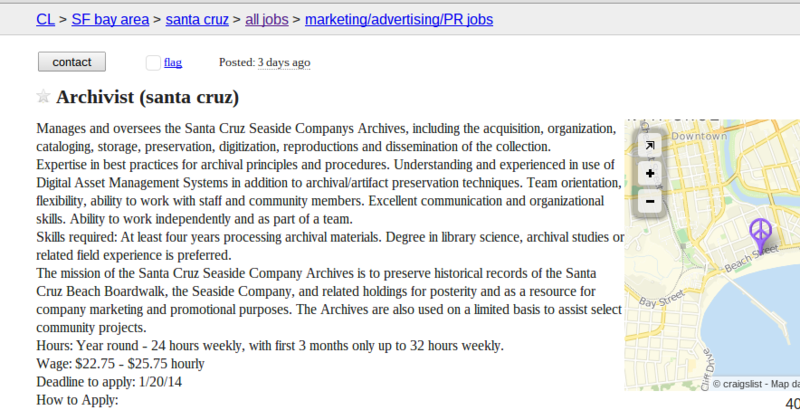 I often watch Santa Cruz Jobs on Craigslist and similar sites (Santa Cruz Jobs) to see what unique and fun positions pop up, and the position of Boardwalk Archivist would probably rank at the top of the list for uniqueness. 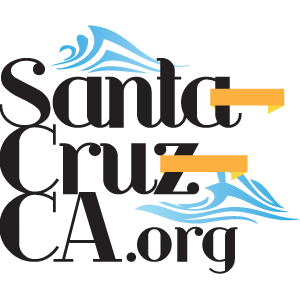 The Santa Cruz Beach Boardwalk was founded in 1907, which is about as far as anything in Santa Cruz can go back. It sort of makes my day to see that the boardwalk even maintains an archive, and it’s even better that they are looking for experienced people to take care of it. When you are considering unique advertising, and promotional materials about our local community, I can’t think of any company that could have a better collection of local history. If you feel like applying for this job you can find it on their “Casual Jobs” page here: http://jobs.beachboardwalk.com/jobs/joblist.cfm?category=seasonal But remember me if you apply and get the job, I would accept a personal tour as thanks!